A body is the most genuine thing we have. A body can burst forth into a magic-realist galaxy. A body can be a source of pleasure. Pain can be a muse. Where does psychic pain end and visceral pain begin? When I say sensuality, does that connote pain or pleasure? Writing the body is writing what we know because we inhabit it. Or you might write your lover's body so you can keep it with you. If I say I am holding your hand right now can you feel it? Do you feel it with your brain or your skin? Our bodies can make us feel powerful or defenseless. Taking a risk to write about the body can make you feel powerful. When I wake and put my feet on the floor I feel defenseless. I would like to reclaim the word sensitive to mean risk-taker. We are gods of our own bodies. We are servants to our own bodies. Our bodies are signifiers. Our bodies are false signifiers. Our bodies are liars. Our bodies are truthtellers. If our bodies are oppressed by an outside force, we are "written over." Rogue Agent wants to retaliate. Rogue Agent wants reconciliation. 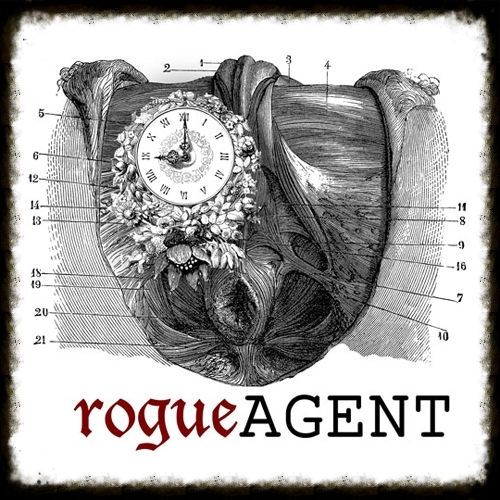 Rogue Agent wants to share your stories about the poem that is the body. Jill Khoury is interested in the intersection of poetry, visual art, representations of gender, and disability. She is a Western Pennsylvania Writing Project fellow and teaches workshops focusing on writing the body. She holds an MFA from The Ohio State University. Her poems have appeared or are forthcoming in numerous journals, including Copper Nickel, Bone Bouquet, Lunch Ticket, and diode. 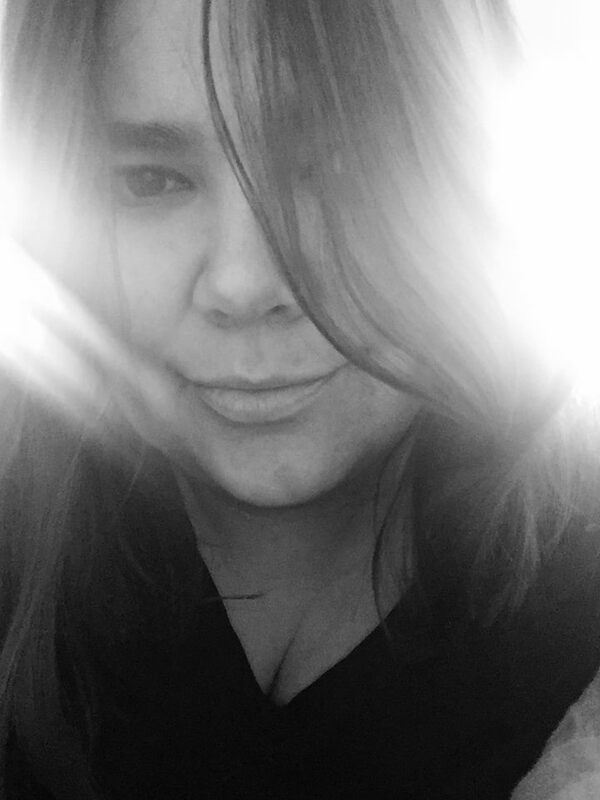 She has written two chapbooks—Borrowed Bodies (Pudding House, 2009) and Chance Operations (Paper Nautilus, 2016). Her debut full-length collection, Suites for the Modern Dancer, was released in 2016 from Sundress Publications. Find her on the web at jillkhoury.com. Jen Stein is a writer, advocate, mother and finder of lost things. She lives in Fairfax, Virginia where she works in family homeless services. Her work has recently appeared or is forthcoming in Cider Press Review, Luna Luna Magazine, Menacing Hedge, Nonbinary Review and Stirring. She studied writing at George Mason University, and studies people in much of the rest of her life. You can find her on the web at jensteinpoetry.wordpress.com. What is it like to live in your body? We want work that answers this question. We want your skin, your liver, your viscera. We want your joy and your frustration. We want to be surprised by your elegance and stunned by your forthrightness. We want to be impressed with your craft and your commitment. We are much less impressed with grand proclamations than we are by specific vulnerability. Please send up to 5 poems (10 pages maximum) in a single .doc, .docx, .rtf, or .pdf file attached to an email. Only use .pdf file type if your poem has extremely specialized formatting that will not come across in one of the other file types. In the subject line of the email, type [FIRST INITIAL] [LAST NAME] POETRY SUBMISSION. In the body of your email, include a cover letter with a short biographical statement and your contact information. Send that email to rogueagentjournal@gmail.com. Rogue Agent strives to publish a range of poetic styles and forms. The most important things we consider are craft and how well the work fits the theme of our journal. Rogue Agent is published monthly with ten poets, one poem apiece. To get a feel for our journal's theme, we invite you to explore over 30 previous issues, and also the work we have linked to in our section entitled For Inspiration. Due to an increase in the volume of submissions, we request that you do not submit to Rogue Agent more than twice in one calendar year. Do not send poetry and artwork in the same submission. Do not send your poems pasted into the body of your email. Do not send a second submission if your first submission is still under consideration. We consider submissions in one genre at a time. We read year round. Response time is 1-3 months. Please do not query before 3 months have elapsed. If your submission is rejected, please wait at least 2 months before re-submitting. If your work is accepted, please wait 4 months before submitting again. We do not consider poems that have already been published. We consider collaborative work. Please provide bios and contact info for both authors in your cover letter. Translations are considered collaborative work. Please provide bios and contact info for both the author and the translator in your cover letter. Simultaneous submissions are fine as long as you notify us immediately which poem has been accepted elsewhere. At this time, we only consider poetry for publication in Rogue Agent, and we can only pay you in love. If you agree to publish with Rogue Agent, you grant us first serial rights. You also grant us rights to archive all accepted work on our site, and through media closely associated with our site, including social media. All other rights remain with the author. If your work is published in another collection after its publication here, you should acknowledge Rogue Agent as being the venue in which it first appeared. 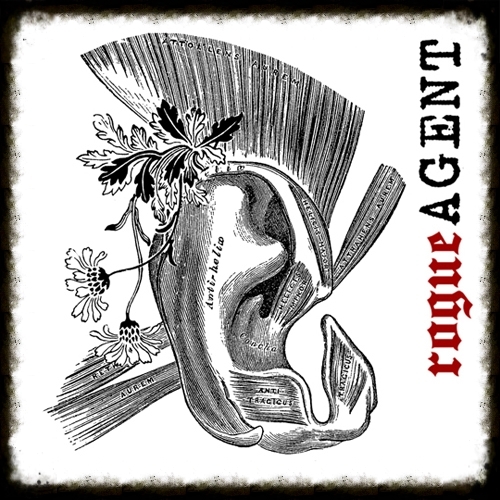 Rogue Agent is listed at Duotrope! Please report your submissions and response times by clicking on the button to the right. In each issue of Rogue Agent, we feature the work of an artist who investigates the same question as our poetry: what is it like to live in the body? To that end, we very much want you to submit your illustrations, photographs, collages, paintings, digital art, or video (please link to YouTube or Vimeo; do not send the video file), a bio (approximately 75 words) and a brief artist statement. While we cannot offer you monetary compensation at this time, we can provide you with a wider audience for your work, with a link to your website, Tumblr, or blog in your bio. To show us your artwork that captures the embodied experience, send 3-5 high-resolution .jpgs attached to an email. In the subject line of the email, type [FIRST INITIAL] [LAST NAME] ART SUBMISSION. In the body of your email, include a cover letter with the titles of your images, a statement about your project, a short bio with a link to your artist website, and your contact information. Send that email to rogueagentjournal@gmail.com. DO NOT SEND ARTWORK AND POETRY IN THE SAME SUBMISSION. 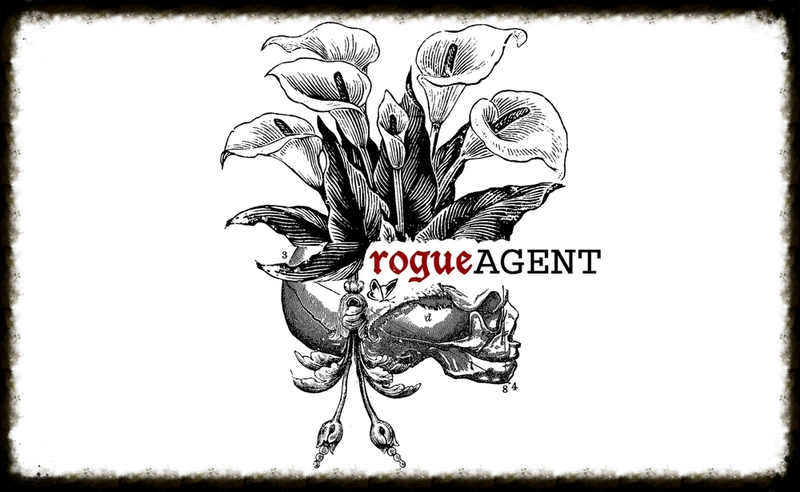 Rogue Agent joins VIDA in their pledge to fight sexual misconduct in the literary arts community. Click the sticker to learn more. to be affiliated with the Sundress Publications family. If you haven't already, visit the Sundress website to learn more. Rogue Agent admires these fine poems and invites you to be inspired by them! The number of poems and poets whose work seeks out the various truths of the body is too long to list, and we hope to rotate our list from time to time. Check back occasionally for more inspiration! "Somatic Poetry Exercise and Poem"
"How to Draw a Perfect Circle"
"The Dead Girls Speak in Unison"
Has the Largest Arms in the World"
"The Body Is Not an Apology"
"What I Know for Sure"